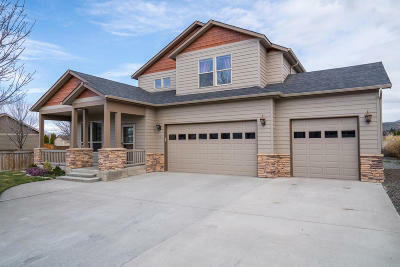 Turnkey NW Craftsman with stunning quality and curb appeal. Soaring vaulted ceilings, wood floors, slab granite counters, stainless appliances and all the high-end finishes found in a Roberts home. Formal living plus great room concept. Massive master with deep corner soaking tub surrounded by luxurious tile, double sinks, separate shower, walk-in closet. Covered patio, private fenced yard and garden shed. Triple garage completes this perfect package.